Darragh O’Neill has earned an international reputation as a brilliant performer and composer. His career as a concert guitarist has taken him to many of the great music venues around the world. Highlights include Carnegie Hall New York, Wigmore Hall London, Oude Kerk Amsterdam, the Manggha Theatre in Krakow and numerous performances back home in his native Dublin’s National Concert Hall. Darragh’s musical life began at the age of seven, studying violin with David Lillis at the Royal Irish Academy of Music in Dublin. Later changing to classic guitar, Darragh studied many different styles of music before attending classes with Carlos Bonell at Royal College of Music London. During his time in London, Darragh earned his Bachelor and Masters degrees in performance and composition. Upon graduation from London College of Music, Darragh took both their British Reserve String Prize and the Louis Krasner Award for most outstanding string recitalist, being the first Irish musician to receive these coveted awards. 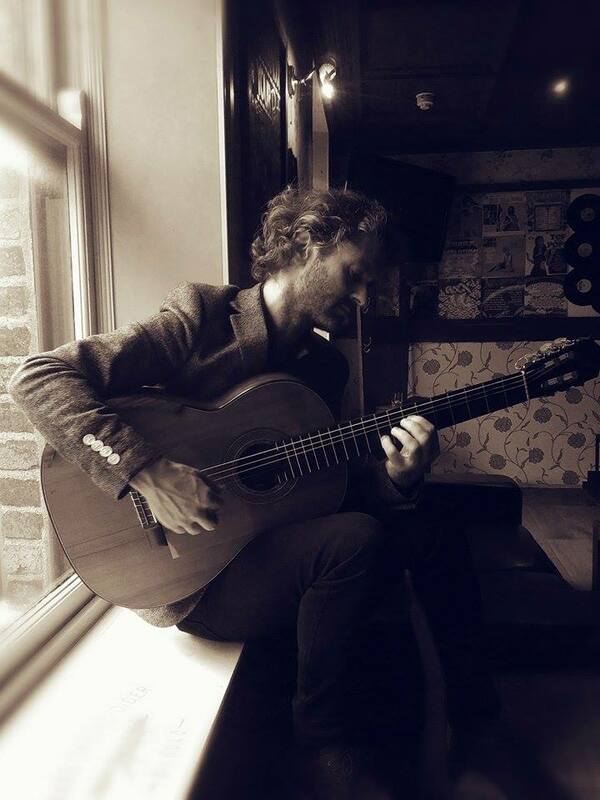 His debut CD Fountain features Darragh’s own original compositions for solo guitar alongside a collection of his arrangements of some of the guitar’s best-loved baroque classics, including music by J.S.Bach, Domenico Scarlatti, Gaspar Sanz and Turlough Carolan. Together with his solo guitar pursuits Darragh is also a member of Dublin Guitar Night Quartet along side Hugh Buckley (Jazz), John Walsh (Flamenco), and Pat Farrell (Blues) and has been invited to share the stage as featured soloist on numerous television broadcasts with such international acts as Enrique Iglesias, (MTV Awards) West-end’s Michael Ball, and Russel ‘The Voice’ Watson, and for Vanessa Amorosi for her televised live appearance at the O2 arena Dublin. Currently based in Dublin, Darragh, in addition to teaching his beloved students at Blackrock College and Rathdown Music School, is currently working on a new set of compositions for his forthcoming book and album entitled Shadow Box.